In May 2018, Hawaii became the first state in the nation, and the most prominent tourist destination in the world, to pass legislation banning sunscreens containing the chemicals oxybenzone and octinoxate, which destroy coral reefs. The bill, which was signed into law on July 3, was the result of more than a decade of scientific studies looking at the impacts of these personal care products on the delicate marine habitats. Use a water resistant sunscreen which will be more likely to stay on your skin and out of the water. Sunscreen washes off your body when swimming and enters the marine environment. Avoid oxybenzone (the most common compound), octinoxate (which is more toxic), and octocrylene which can kill coral and damage coral reefs. Use lotions and creams instead of sprays, which are more likely to stick to the sand than your skin. When the tide comes in, this chemical-covered sand is then carried out into the ocean, which can lead to additional contamination. 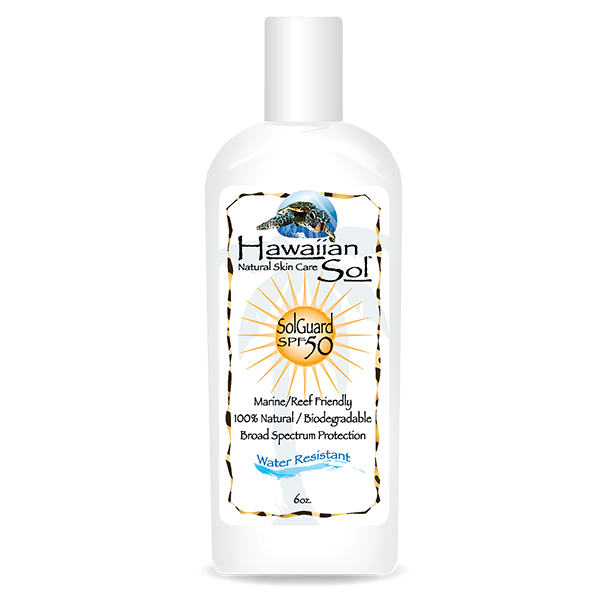 These brands use mineral sun protective shields such as non-nano zinc oxide and/or titanium dioxide as their active ingredients and they stay clear of all chemicals that the State of Hawaii’s Department of Land and Natural Resources asks ocean goers to avoid.